Consistently invents or improves tools, processes, or systems. Regularly identifies problems, but focuses on potential solutions. Proactively seeks feedback and involvement from constituents. ​Demonstrates leadership qualities that align with the Institute’s Creating the Next Visionary Leader vision. Goes above and beyond without fanfare. Takes initiative to solve problems and improve work situations without being promoted. Exhibits reliability, perseverance, and focus on results. Demonstrates operational excellence in their area. Is involved with transformative, larger-scale efforts. 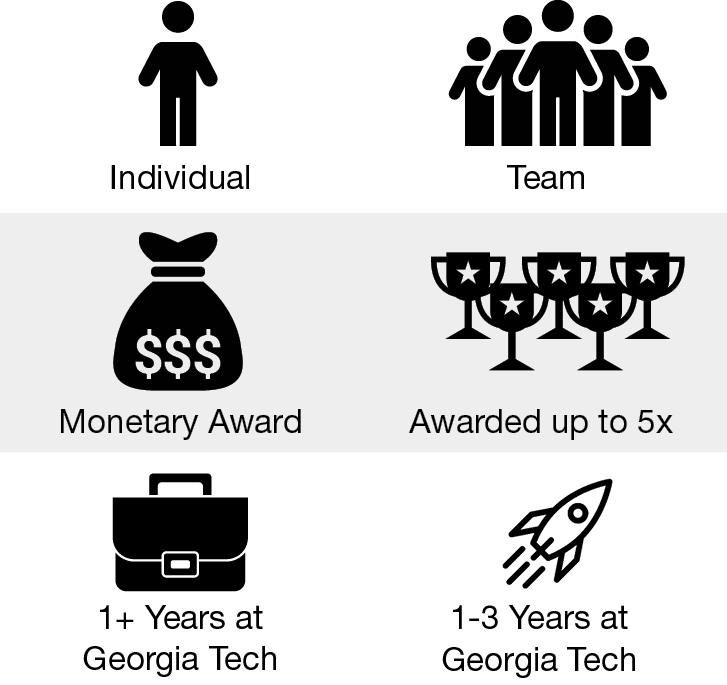 Achieves results that impact a large constituency of Georgia Tech employees. 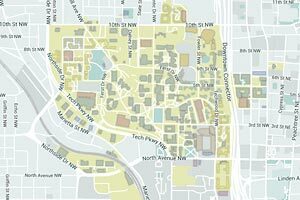 Extends efforts across multiple Georgia Tech departments, units, or entities. Sees the bigger picture—the connection and inter-relation of people, processes, and technology. Exhibits a willingness to take on any responsibility necessary to achieve success – not only the figurehead or convener role. Possesses both initiative and the ability to follow through. Cultivates mutually beneficial partnerships at international, national, or local levels. Identifies and nurtures strategic partnerships to better align Georgia Tech’s activities with the needs of others. Seeks new partnerships while leveraging existing ones. Expands the professional network of our students, faculty, and staff for mutual gain. Seeks relationships and connections among constituents, inputs, and outputs. Participates in collaborative problem-solving, breaking down boundaries and/or creating new relationships to improve the way work gets done. Supports and upholds the mission and vision of the institution. Possesses character and professionalism that make working at Tech better. Creates a significant, positive influence in the workplace. Acts with dignity and integrity. Demonstrates service excellence to all. Works well with their colleagues and strives to do their best, while inspiring others to do the same. Treats all community members with respect. Effectively motivates, influences, and develops both groups and individuals to achieve Institute goals. Overcomes differences to achieve agreement. Inspires change or productivity in others. Motivates others without formal authority. Develops trust and credibility through open, respectful communication, and by demonstrating accountability. 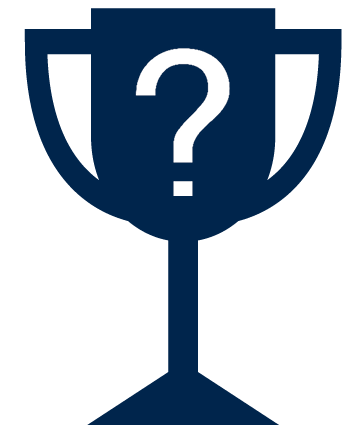 Engages in activities that help others within the Georgia Tech community or outside of the Institute. Has a positive impact on others. Offers service above and beyond their formally defined job in order to meet the needs of others. Demonstrates a true concern for humankind by offering their time, talents, or both. Embodies Georgia Tech’s commitment to public service. Regularly evaluates situations, gathers data, and uses the data, to identify opportunities for change. Embraces change as an opportunity for growth and innovation. Approaches their work with a focus on inventing tools, processes or systems. Produces concrete and tangible outcomes.